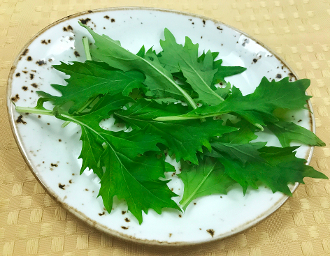 Our Petite Mizuna is a type of Japanese Mustard green. Its light green, long serrated leaves boast a crisp, earthy mustard taste. Great for topping Asian stir-fry. Lightly dress and use as a fresh side salad or a unique looking bed for sushi.